In faraway Saudi Arabia, almost 2,300 miles away from home and for the umpteenth time too, Juventus added another title to their collection; make that number 10 for Max Allegri since he took charge of the side in the summer of 2014. The onus may have fallen on Antonio Conte to restore the pride of Juventus following the Calciopoli scandal of 2006, troubling times that cost Juve a league title and much more than that, a place at the table of Europe’s elite football teams, but it was Max Allegri who stepped in just when Antonio Conte thought it was difficult to go one better and he has actually turned Juventus into a menace. A nightmare for opponents and a real competitor. It is a little over a decade ago, yet it is amazing to see just how much Juventus have done to return to the top. From losing almost all of their top players to dominating Italian football, reaching the final of the champions league twice and then paying top dollar to secure the services of Cristiano Ronaldo. Three years before Allegri took over, Juve had won the Serie A consecutively. Unbeaten in the first year, announcing their return in the most commanding manner ever imagined but faltered time and again in other competitions and were never truly invincible or in a more relatable term: unplayable. Since Allegri was appointed in 2014, a day after Conte’s departure, Juventus have won 15 of the 21 available trophies in Italian football. Juventus have done the domestic double for four consecutive years, an unprecedented feat as well as extending their league dominance. Since Juve first won five successive Serie A titles between 1931-35, only Torino (1943-49), and Inter Milan (2006-10) repeated the feat. Juve has since surpassed this record and is currently on track to win an eighth successive league title. Should this be achieved, it will be the first time any team in Europe’s top five leagues has ever pulled off such feat. Interestingly, Juve has the arsenal to achieve this. 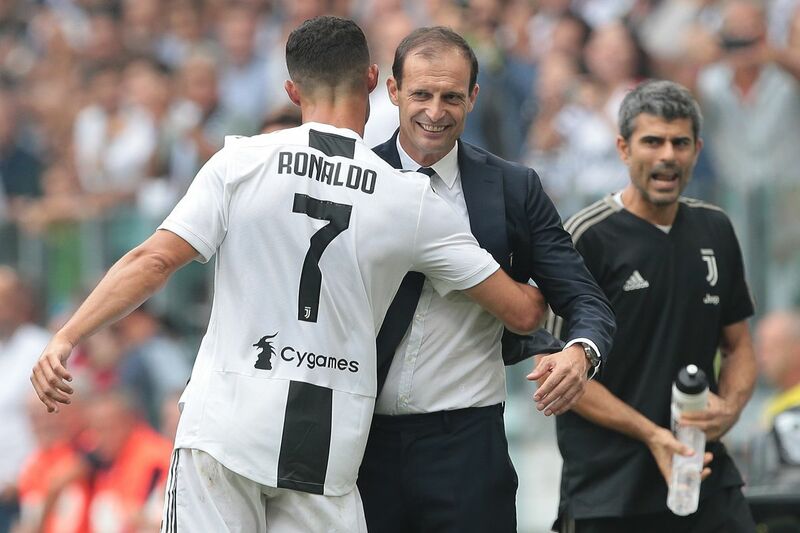 A robust and balanced squad that had conquered Italy and reached two champions league finals only made better by the arrival of Cristiano Ronaldo from Real Madrid, the 100 million euro forward responsible for ending Juve’s unusual run of consecutive Supercoppa Italiana defeats – Juve have lost each of the last two finals. Max Allegri may have taken the Juventus job at a crucial point in his career, but the incredible amount of success he has brought the team in that time may well see Juve achieve the ultimate prize: The Treble.